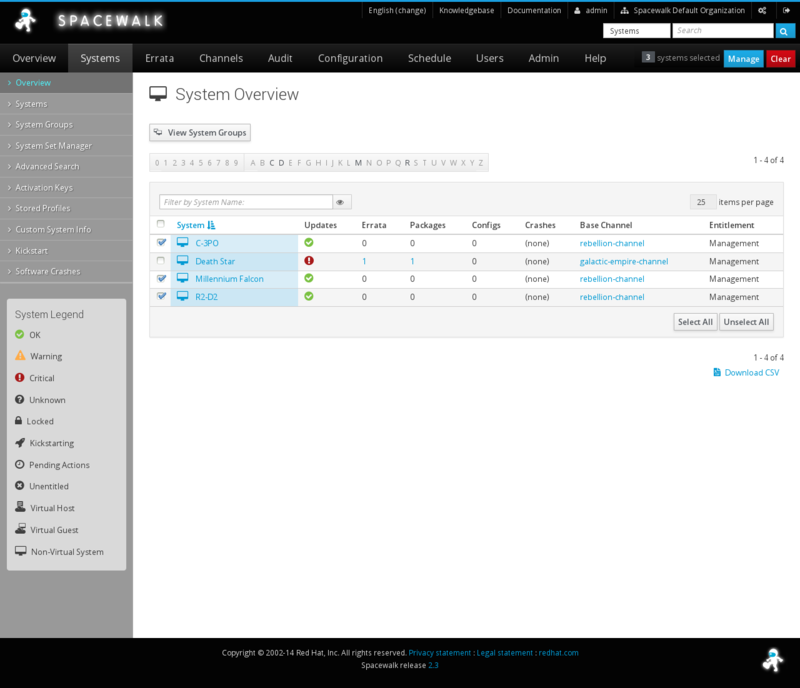 Here are some screenshots of Spacewalk's web-based user interface. Of course, screenshots can only offer a small fraction of the full experience, so why not download Spacewalk and see it for yourself? 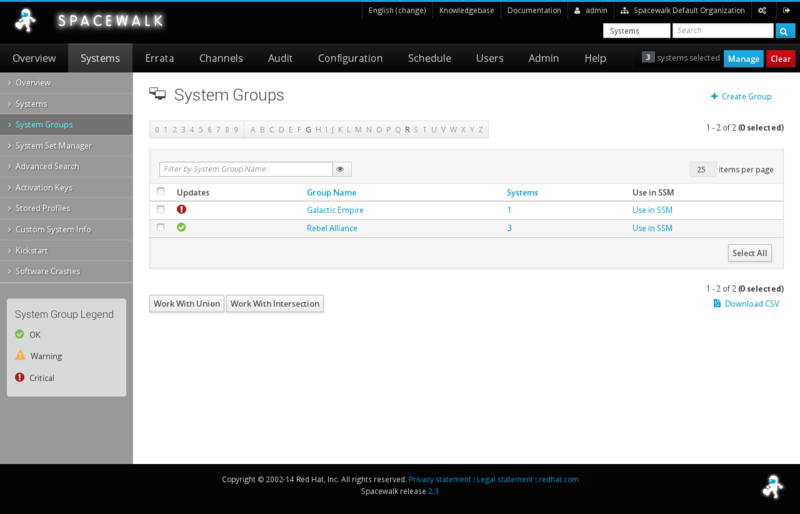 This overview page, which appears when you first log into the Spacewalk web interface, is a customizable at-a-glance view your systems' status. 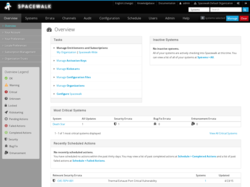 Some highlights that can be displayed on this screen include the most out-of-date systems, the systems with the most critical out-of-date status, the latest errata releases, the systems that have most recently registered to your Spacewalk server, and more. 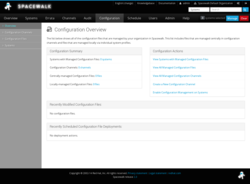 You can determine which modules appear on this screen in your user preferences. 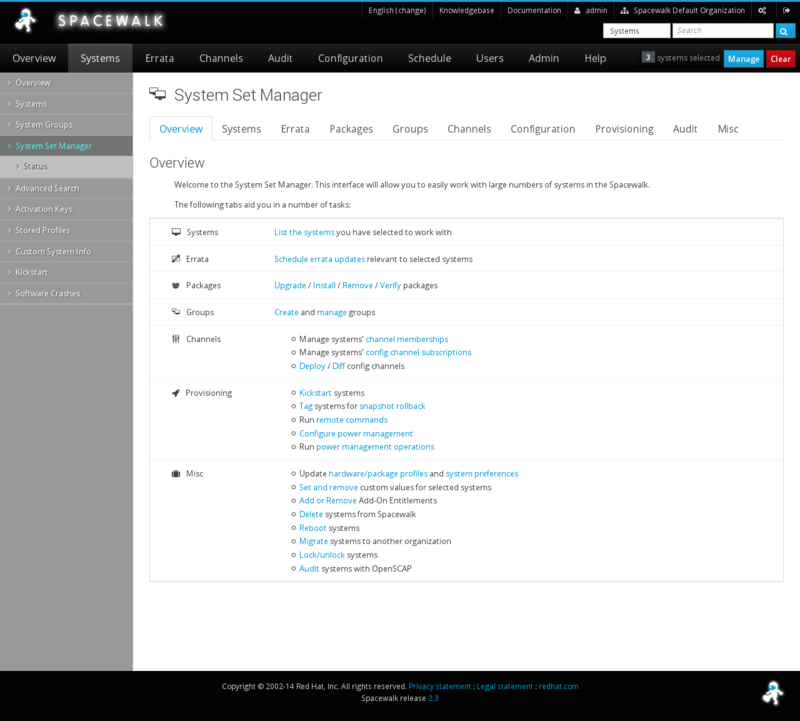 The system set manager is an interface in Spacewalk where you can perform actions on multiple systems at once. First, you select a group of systems to join the 'system set.' 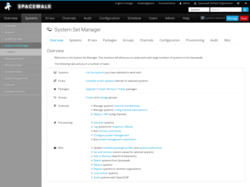 Then, you go to the System Set Manager menu (shown in the screenshot below) to select which actions you would like to run on those systems. 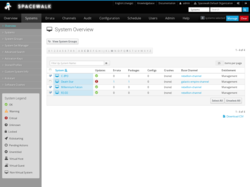 These actions can range from rebooting the entire group of systems, to installing a specific package on those systems, to deploying a configuration file to all those systems. Where systems are not completely homogeneous (e.g., if your system set consists of both Fedora 8 and Fedora 9 systems) and an action can only apply to a subset of the systems in the set, the web interface will alert you of this and let you know which systems will be affected and which systems can not be affected. Spacewalk has a nice search system that allows you to search for particular systems, errata, or packages (package search shown below.) Package search is particularly useful if you are looking to install an application but are not sure what channel your system needs access to in order to retrieve the package from Spacewalk. 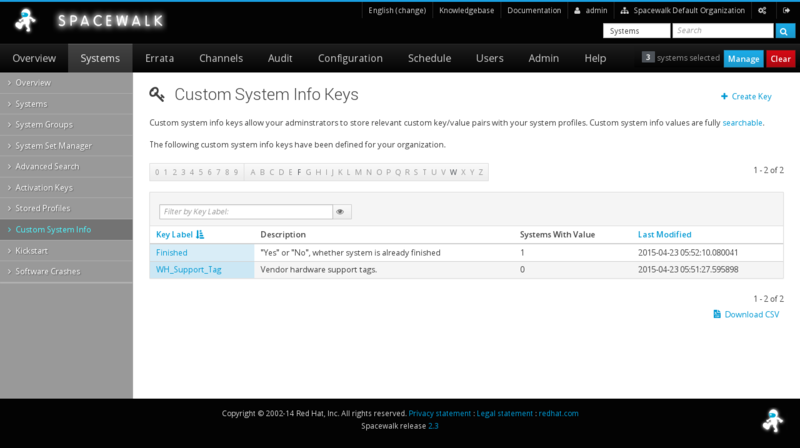 Spacewalk has a kickstart system that allows you to create and store kickstart settings for systems as well as conduct kickstarts on systems registered to the Spacewalk server. 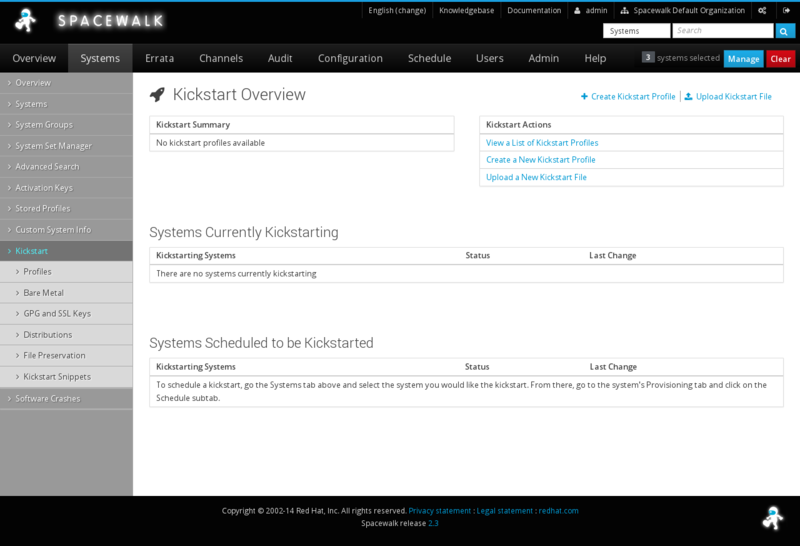 Shown below is a screenshot of the Kickstart Overview screen which gives you a summary of the saved kickstart profiles on Spacewalk as well as a summary of pending and currently-running kickstart actions. 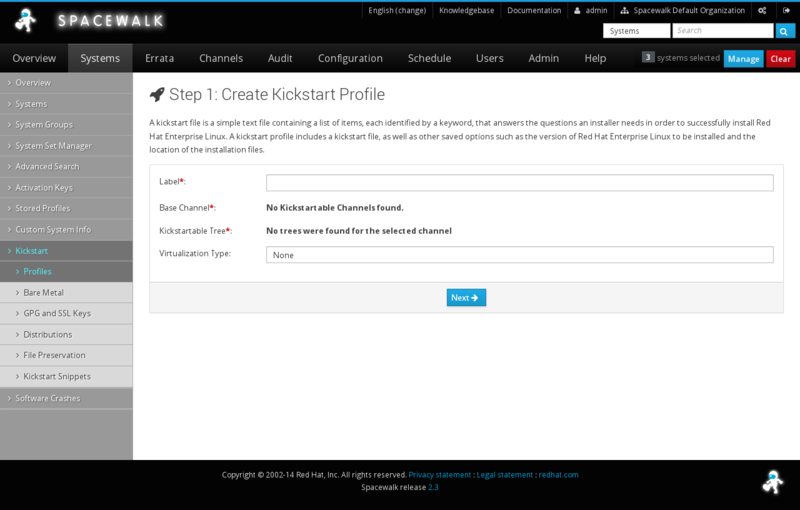 Also shown below is a screenshot of the kickstart creation wizard that allows you to create new Spacewalk kickstart profiles. 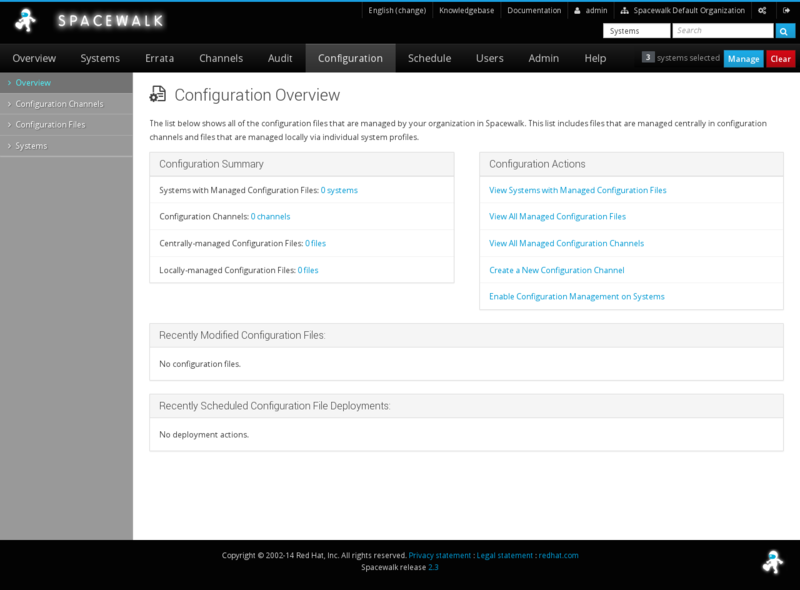 We hope these screenshots have given you a better feel for what Spacewalk's web interface can do. 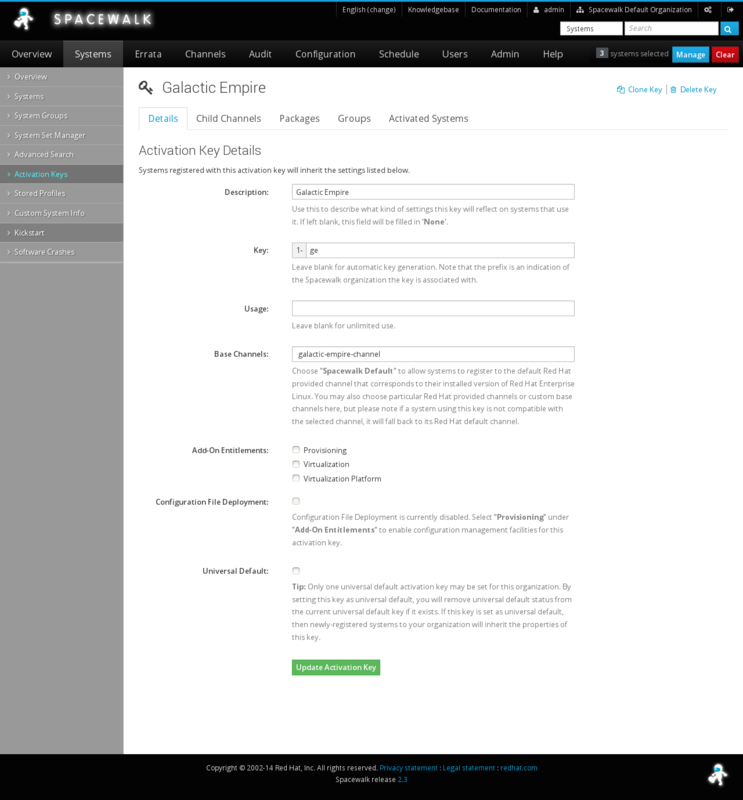 Please note that much functionality of Spacewalk is not covered here: live kickstart status monitoring of systems, creation and management of virtual systems, multiple organization partitioning of a Spacewalk server, errata management, the action scheduling interface, and more. If you like what you see here and/or are curious and want to learn more, we encourage you to download Spacewalk and see for yourself what it can do! Copyright © 2019 Red Hat, Inc. All Rights Reserved. The Spacewalk logo is a trademark of Red Hat, Inc. Please send any comments or corrections to the Spacewalk mailing list. 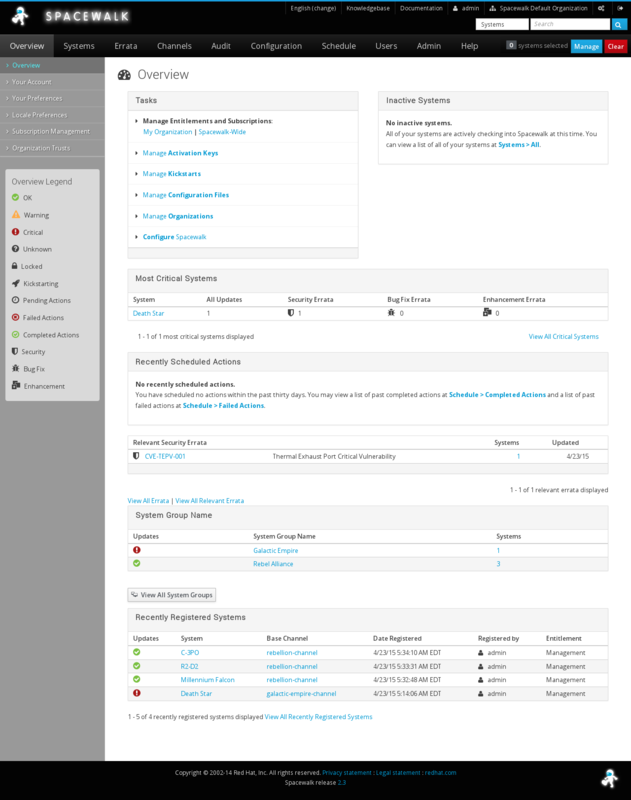 Please report any security concerns about Spacewalk to the Red Hat Security Response Team.